1888 Mills Green Threads 100% Certified Organic Cotton White Bath Mat 21" x 32"
Jack's Country Store > Hearth & Home > 1888 Mills Green Threads 100% Certified Organic Cotton White Bath Mat 21" x 32"
Made with 100% Ring-Spun, Certified Organic two-ply combed cotton loops. Green Threads by 1888 Mills is eco-friendly, while remaining exceptionally soft, plush, and absorbent. Simple, modern dobby border design. Classic Pearl White color. 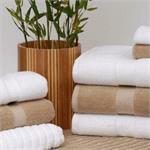 Hotel style bath floor sheet, measures 21" x 32". 1888 Mills is an American manufacturer of high quality textile and linens for both the home and hospitality market. 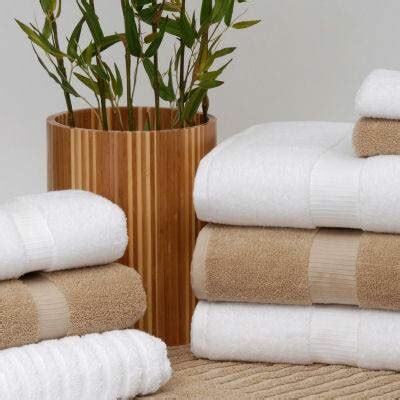 1888 Mills Green Threads 100% Certified Organic Cotton White Bath Sheet/Towel, 35" x 58"
Made with 100% Ring-Spun, Certified Organic two-ply combed cotton loops. Green Threads by 1888 Mills is eco-friendly, while remainng exceptionally soft, plush, and absorbent. Simple, modern dobby border design. Classic Pearl White color. Oversized pool. Made with 100% Ring-Spun, Certified Organic two-ply combed cotton loops. 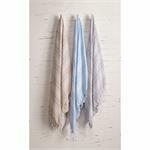 Green Threads by 1888 Mills is eco-friendly, while remainng exceptionally soft, plush, and absorbent. Simple, modern dobby border design. Classic Pearl White color. 27" x 54" towel.